New rhino poaching numbers out of South Africa show a small decrease from the previous year, but the death toll remains perilously high. The South African Department of Environmental Affairs announced that poachers killed 1,028 rhinos in 2017, down from 1,054 in 2016. 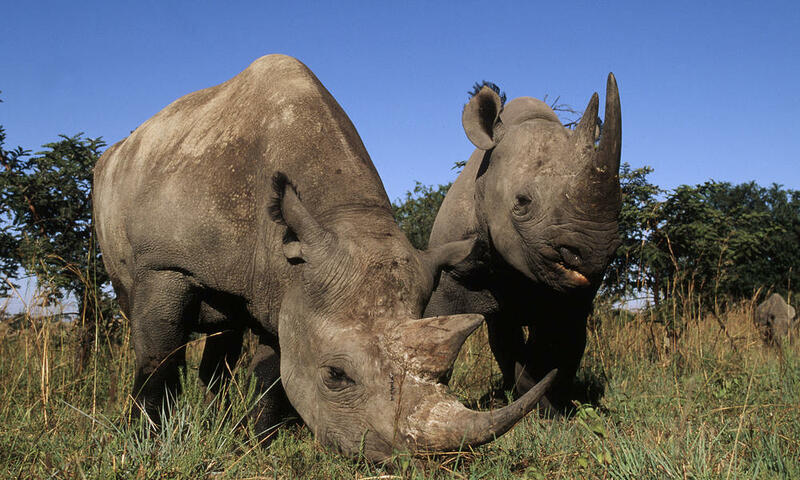 Officials recorded a record loss of 1,215 rhinos in 2014. Much of the poaching has shifted to rhino populations living outside of South Africa’s Kruger National Park to places where the risk of getting caught is lower and the benefits are greater. Unfortunately, we’re seeing an increase in poaching numbers for other species in Kruger. Elephant losses grew to 67 in 2017 from 46 in 2016. Despite the still dangerously high rhino poaching numbers, the South African government has made some progress in tackling the issue. It has increased the number of convictions for illegal activities relating to rhinos, especially higher up within the criminal syndicates behind the poaching. And it’s working closely with communities to get them involved in the legal wildlife economy, including ecotourism.